This is an involved topic with lots of moving parts. You need to correctly configure every part of the solution to make it work. While the steps will be unfamiliar to many, you can do it if you follow my instructions. 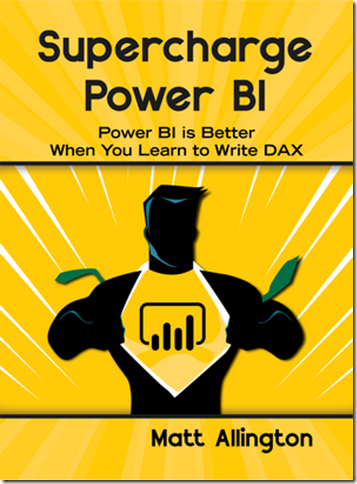 Once again, I am indebted to Rui Romano from Power BI Tiles for his patient assistance to help me get this working. Believe me: no Rui = big issues = no blog post. While the solution is quite straight forward in that there a few clearly defined steps, each step has its own specific configuration requirements and you must get everything 100% correct for it to work. You can expect all the steps that follow will take about an hour to configure. Maybe less if you are an Azure/API pro, maybe more if you make mistakes, so take it slowly and get each step correct before moving on. Note: This process only works with the new V2.0 (preview) Workspace experience, so make sure you have one of those before you begin. These are the steps below. You will need admin rights to Azure and Power BI within your tenant to proceed. Write the flows to complete the process steps resume/assign/un-assign/suspend. If you already have a premium capacity that you want to use, you can skip this step. I have just included it for completeness. 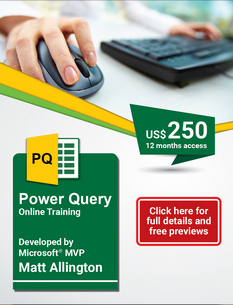 Search for Power BI Embedded and select that option. Down the bottom of the screen, click Create. There are a number of fields you must complete to create the capacity. Give it any suitable name so you can identify this premium capacity from any other you have in your tenant (this is company wide, not just you). You have to pay for it (sorry). You will need to select a subscription from the list. A subscription is simply a tool to manage the payment for what you use. Think of it as an auto payment agreement. You must assign a resource group; you can create a new one or use an existing one. Think of a resource group as a “tag” to associate your expenditure on this premium capacity with a project. By placing your resources in resource groups you are able to more easily able to track the total expenditure from your subscription against individual sub projects (resource groups). Someone has to be the default administrator. This will be you by default. Where do you want the resource to be located in the world? Put it somewhere close to the users. Best to place it in the same location as your Power BI tenant. Select a capacity tier. The A1 option (SKU) is the cheapest but also has the lowest compute power. You can start with A1 and change this later (scale up) if it is not powerful enough. You can even change (scale up/down) the capacity intraday if needed, to give you more power when you need it and less when you don’t (not covered in this article). Azure will then weave its magic and build (spin up) the resource for you. You should see a notification in the top right hand corner of the portal (1 below). If you click on the bell, you will see when the capacity is ready (2). You can hyperlink directly to the capacity with the button (3). OK, now you have your Power BI embedded capacity, which is an Azure A1 SKU in this case. As I mentioned earlier, there are other types of Power BI embedded capacity that you can buy called EM SKUs, but these must be purchased via a reseller partner, and there is a minimum 12 month commitment. The capacity will be running as soon as you create it. You can tell because there is a pause button inside the administration dashboard for the capacity and the Status shows “Active”. If you see as start button instead, then the capacity is not running (note you may have to refresh your browser to update the status). You pay per second that the capacity is running, and you pay nothing when it is paused. The reason you pay nothing is because there is no data stored in the capacity, it is simply “compute power” that you are purchasing. Before you start the rest of this process, open up a new Notepad.exe session and keep it open. You will need somewhere to store various names and GUIDs during the process. Each time you copy something to Notepad, make sure you clearly label each item. It gets very confusing if you don’t do this. Login to portal.azure.com (if you have not yet logged in). Click Azure Active Directory (1 below). Copy the Application ID (1 below) and save it in Notepad. Make sure you clearly label it as AAD Application ID. All of the GUIDs you will copy look the same so you need to label them. You will need this Application ID while creating the Flows in step 7. Click on Settings (2 below) and then on Required permissions(3 below). Then click “Select an API” (1 below). Select Power BI Service (2 below) and then click Select (3 below). This gives the App permission to use the Power BI Service APIs. After clicking select above, you need to place a check mark in APPLICATION PERMISSIONS (1 below) and then click Select (2 below). Click on Keys (1 below), give the key a suitable description (2 below) and then the expiry details (3 below). Then click Save (4 below). This will create the secret key required to validate the API call from Microsoft Flow. Immediately copy the Key Description and Key Value and paste these to Notepad – you will not be able to retrieve the key later if you lose it and you will instead have to recreate the key. This is the secret key that you use to delegate authority to the API to configure your tenant. Click Azure Active Directory in the left panel (no image shown). Then select Groups and then click on +New Group (no image shown). Select Group type as Security (1 below), specify a group name (2 below) and description (3 below). Select Membership type as Assigned (4 below) and then click the Members section (5 below). Search for the AAD app in the search box then click on the App (6 below). Click on Create (8 below). Now the AAD app has been assigned to the security group created above. Double check the AAD App has been added. When I was testing this it somehow didn’t get added. It took me 15 minutes to work out what was wrong. So check now before moving on. Add the name of your new security group to Notepad, clearly labelling it as AAD Security Group. Go to the Azure Dashboard and select the premium capacity that you want to control with the AAD App (no image shown). This is the capacity you created in step 1, or any other capacity you want to control. Note, I am using a different capacity than I created above, called A1Demo. Click on Access control IAM (1 below), then Add (2 below), Add role assignment (not in image). In the Add roll assignment window (3 below), specify Owner as the Role (4 below) and then search for the name of the AAD Security Group in the search box (5 below – note in my case “blog” are the first characters of my AAD Security Group called BlogDemoGroup). Make sure it is the AAD Security Group you add and not the AAD App. The AAD Security Group will be displayed (6 above). Click save (7 above). For this next step, you need to have admin rights in the Power BI tenant. Go to Powerbi.com and log in. Click on the cog on the top right corner and select admin portal. In the Admin Portal, click on Tenant settings (1 below) and then scroll down to Developer settings (2 below). This will allow service principals to use Power BI APIs (3 below) – set Enabled to On (4 below). The group now has the authority to make changes to the Power BI tenant. Note: There is a message displayed saying it can take up to 15 mins for these settings to be fully operational. Jot down the current time so you know how long to wait. This will be helpful if you finish quickly and are not sure if the 15 mins has elapsed. Navigate to your Workspace – the one you want to assign to the premium capacity ( 1 below). Copy the GUID of the Workspace from the Address bar in the browser and paste it in Notepad, clearly marking it as Workspace ID. Search for the AAD App (1 below), Select the App name(2), change the access type to “Admin” and click Add (3), then close. Make sure you have assigned Admin access to the App (the default is Member and this access will not work). This is required later to allow the Power BI API to assign and un-assign the workspace to the premium capacity. There are APIs for various operations (1 below). Of these, this article shows how to use Resume (2 below) and Suspend (3 below). Note, you will not need this as I have provided the code below – this link above is just for reference. Copy the API code above and paste it in your Notepad file. Go to the Azure Portal Dashboard, select the capacity you want to control, click overview and locate the subscriptionId (1 below), resourceGroupName (2 below) and dedicatedCapacityName (3 below). Copy the three items needed by the API code into the appropriate place holders. The code in your Notepad file should now be ready to use in the next step. Now you are ready to create the Flows, starting with the Resume Flow. Select My Flows (1 below), +New (2), +Create from blank (3). Search for “Schedule” (1 below) and then select the Recurrence/Schedule trigger action (2 below). Select an interval that suits your needs. I have selected daily in the morning at 7 am. You can just set 1 Month to start with if you like, and come back later and modify this step. Search for HTTP and select that option (no image shown). Select POST for the Method (1 below). Copy the address from the API code you compiled above (from Notepad) into URI (2 below). Completed the details as shown below. Tenant (4 below) is the domain for your company. Make sure you use the *.onmicrosoft.com version. It may work if you use your normal URL, but I can’t guarantee it. Audience (5 below). This is the code for the Audience for the Azure APIs. You can cut and paste it from below. Client ID (6 below) is the Application ID that you copied in step 2. Secret (7 below) is the Secret key that you saved earlier. You can then test run the Flow to check if the Resume is working. I’ll perform the trigger (no image shown). Run the Flow (no image shown). See flow run activity (no image shown). Assuming it works, rename the Flow to be “Start Capacity”. If it fails, go back over the steps to work out what went wrong. Before moving on to the next step, you need to get the GUID for the capacity and assign permissions to the AAD App to control the capacity (no images shown). The process steps to suspend the capacity is similar to above. The easiest way to create the suspend Flow is to save the Flow you just created as a second copy and then edit this new copy. After copying, you then need to click the ellipsis for the new Flow and select “Turn flow on” (no image shown). Edit the new flow with the following variations. Edit the URI (API call) and replace the word “resume” with the word “suspend”. Save and test the flow. Once done, the capacity should be stopped. You should now have 2 flows. One to Start the capacity and one to Stop the capacity. Edit the first flow you created – the one to start the capacity (no images provided). "capacityId": "enter capacity GUID here - keep the quotes"
Paste the code into the body of the Flow step. Click “Show advanced options” and add the necessary steps. Here is the code for the Audience for the Power BI APIs. You should have something similar to shown below when finished. Note well. The Audience above is different to the first HTTP step, but the other items are the same. Client ID is the Application ID from before, and the secret is the Key from before. It is easier to duplicate the Start Capacity Flow than it is to edit the previous Stop Capacity Flow. Set the existing Stop Capacity flow to “Turn off flow”. Better to do this rather than delete it for now. Duplicate the updated Start Capacity Flow, call it New Stop Capacity, and set it to “Turn on Flow”. Change the order of the 2 HTTP steps. You can just drag the final step and drop it above the middle step. When a free user is using premium capacity with a free user account, they can’t access the reports via PowerBI.com. Instead they must access the reports another way – in this case via SharePoint Online. Run the flow to restart the capacity and assign the workspace to the capacity. Paste the embed link and publish the SharePoint Page. You will need to give the users access to the SharePoint site/pages as required. You will also have to add the free users to the PowerBI.com workspace so they can see the page. This process only works with V2.0 Workspaces – it does not work with the old type of Workspace. If you have issues, go back through each step, one at a time and make sure everything is configured as described. There is no way of knowing which premium capacity tier is right for you. I have used the A1 capacity in this article – it is the cheapest but also the smallest capacity. You will need to test out your capacity requirements to see what works for you. Thanks to my mate Gilbert from Fourmoo for being a beta tester for me to make sure the steps all worked correctly. Matt – thanks for sharing such detailed notes on a creative solution. For companies who have users within the same timezone this is starting to get to a price-point where it is bearable. For those with users across the world, the option to reduce costs by switching embedded capacity off is reduced/removed. Still, Embedded is at least a lower entry-point than Premium. It’s a shame about the peak renders per hour of 300 (entry level) though! It’s not good for the end-user experience for them to intermittently experience the system grinding slowly once the peak has been reached. I wish the Embedded was capacity based like Premium, rather than usage volume-based. Anyway…please keep up your lobbying! Thanks again. You make good points David. I guess MS has the render limits to prevent people opting for lower cost options. Ultimately MS needs to get paid for the value it adds to the customer, so generally I am OK with the render limits. It remains to be see if the 300 limit for A1 prevents it being useful for SMEs. I would be interested to hear from someone that is using it this way. Thank you, Matt, this is very helpful! I agree, it is very involved, but doable. I made many mistakes while learning, but I believe I have a repeatable process documented above. I hope you give it a go. Thanks Matt – fantastic and detailed blog. I hope to use this approach for attempting to do some learning/testing with paginated reports – way too expensive to attempt otherwise with premium capacity. Let me know what Capacity size you use and how many people you are able to use this with. Fantastic ! I’ll try that to use calculated items with CDM / Dataflow. Sorry, I don’t know about Teams. Perhaps you can test it and post back here. Hi Matt, this is brilliant and I could see us using it as a way to trial Power BI in the cloud in advance of the move to Premium – we’re not small but our purse strings are very tightly knotted and we’d need to show the value of a widespread deployment first. However I see one possible hitch, am I right in saying that SharePoint Online will in itself come with a cost? My initial searches put it at about half the monthly cost per person of Power BI Pro so while I can see this working for anyone who is already paying for SharePoint, for those with no footprint in the cloud already it’s maybe just pushing the break even point between Pro and Premium from 600 up to around 1000 people. I hadn’t really considered this, but yes I guess you are right. Many companies these days are on O365 so there is no extra cost. You could try SharePoint on premise and see if it works – I don’t know. Post back with what you find if you test it.